PRICE REDUCED!! BRAND NEW 4Ton, 14 Seer AC Package Installed Aug 1, 2018! 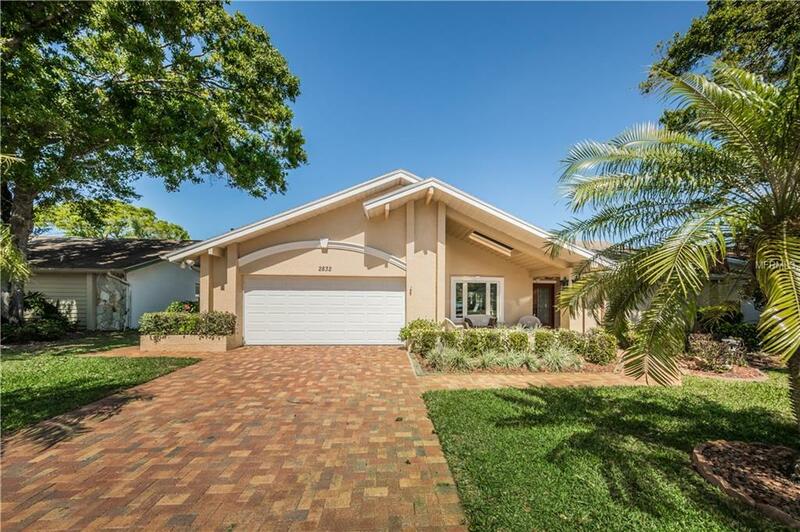 WALKING DISTANCE TO SCHOOLS, COUNTRYSIDE, the MALLS and everything CLEARWATER! A clean 4-bed, 2 bath, 2-car garage property with tons of upgrades for you to enjoy! So many upgrades such as , Tankless water heater, shallow well irrigation system, sealed brick pavers, updated landscaping , plumb-ready solar panels. Roof has approx 5-10 years remaining due to extended life shingle per recent inspection, Augu 2018. The kitchen is nicely updated with an open kitchen-den combo and tons of built-ins, an extra large laundry room and an updated front window and front entry doors. The natural light is beautiful in the breakfast area leading out to the pool. Entertaining is a snap with a formal dining area and formal living room which also leads out to the pool. The Master Bedroom is spacious with a private walk way to the pool area, two wonderful walk-in Closets and a large Master Bath with dual sinks, a walk in shower, and a garden tub. The entire backyard was recently remodeled, a pool spa was added , and all the brick pavers were sealed. In addition, lush tropical landscaping was upgraded around the perimeter of the property giving the property added privacy and beauty. This gem comes complete with a built in security system and water softener. Location ! Location! Location! This home is situated on a quiet street in a quiet neighborhood with wonderful neighbors. What more could anyone desire?